Undergraduate and postgraduate students in aeronautical engineering. Growing market for Aeronautical Engineers in both civilian and defense-related areas. Current Aerospace Engineer employment numbers range between 50,000 and 55,000. Introduction Basic fluid mechanics I Basic fluid mechanics II The elements of two-dimensional wing theory Finite wing theory Viscous flow and boundary layers Wings in compressible flow Aspects of wing design and flow control Propellers and propulsion * Bibliography. Reviews of fourth edition. 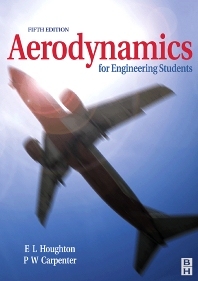 "The book is clearly written and can be confidently recommended as a general and comprehensive aerodynamics text for the use of students of aeronautical engineering." Journal of Aerospace Engineering. "... a valuable text for the undergraduate not least because of the extensive use of well annotated examples and the broad range of topics covered." The Aeronautical Journal.